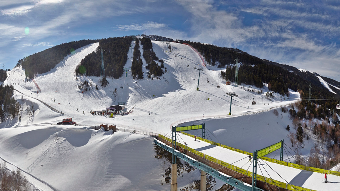 Soldeu and El Tarter resorts, as the name suggests, consists of two villages which give easy access to one of the most scenic ski destinations in Andorra – the 210 kilometres of ski area known as Grandvalira. Staying in this resort means you get some wonderful views including tree lined slopes and the spectacular sunsets this region is renowned for. Whether you are an intermediate skier or a complete beginner the slopes here are not too challenging which make them ideal for beginners who needing to sharpen up on their skills and not be confronted by sheer drops and narrow slopes you find in some ski resorts. Accommodation makes a holiday and it is no different when it’s a ski break. 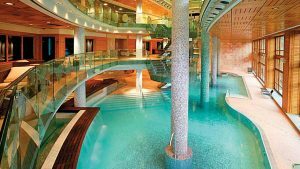 Fortunately you will find a wide choice of hotels to suit all budgets. From upmarket plush spa hotels to budget 2 star accommodation, chalets and apartments, you will find accommodation is excellent for families and couples. If you would like to see a selection of hotels available on our website simply type in your requirements and we will do the searching for you. 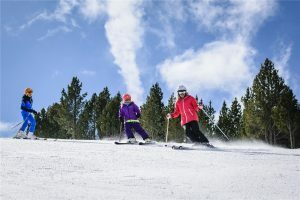 Soldeu and El Tarter offer ideal conditions to begin learning to ski or if you already know the basics and want to test yourself on something a little more challenging than beginner slopes. You will find no shortage of ski instructors ready to help take you from simply keeping your balance on skis to attempting turns on more challenging slopes. This means there will be something for all the family to enjoy. You will also find plenty of English speaking ski instructors available, which certainly helps a lot if you don’t speak the local language and need to follow important instructions! Millions of pounds has been invested in making Andorra’s ski resorts among the best kept in Europe and you will find they are well maintained and as safe as they possibly can be.